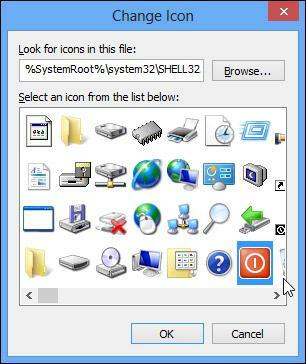 In Windows 7, you can directly open Start menu to turn off your computer. But Windows 8 was designed by complaints that Shut Down and Restart command were too hard to find. You have to press Win + C keys to open the Charms bar, click the Settings option and click the Power button then select Shutdown or Restart. I’m sure nobody likes to perform several actions to turn off his computer. Though Window 8.1 shows some improvements, it is still a couple of clicks away. 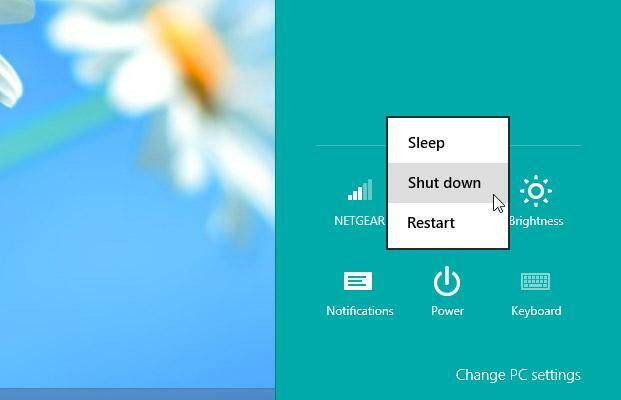 So, how to turn off or restart your PC just one click away from the desktop or the Metro Start Screen? You just need to create shortcuts for both actions. Step1. Go to the desktop. Step2. 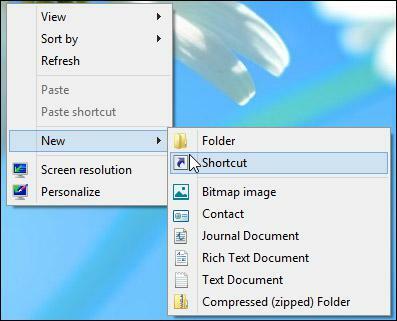 Right click your desktop and Select New, select Shortcut. Then you’ll get a shortcut menu as shown below. Step3. Enter shutdown.exe /s /t 0 to the box and hit Next button. Step4. 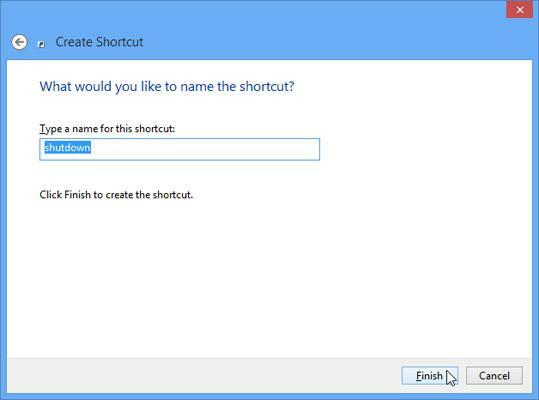 Enter a name for the shortcut and click Finish. 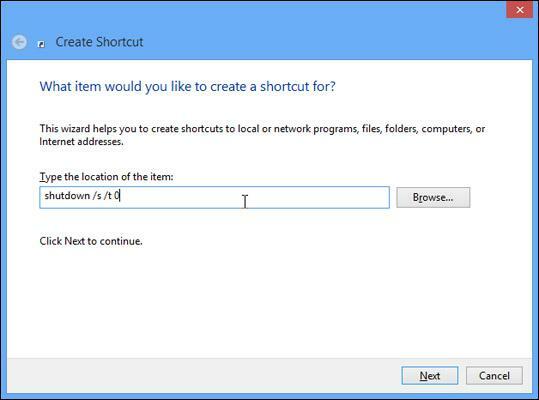 Then the shutdown shortcut will show up on the desktop. Step5. Right click the shortcut and select Properties. A dialog bow will pop up. Look at the Shortcut tab, and click Change Icon button, and click the OK button when you receive a warning. Step6. 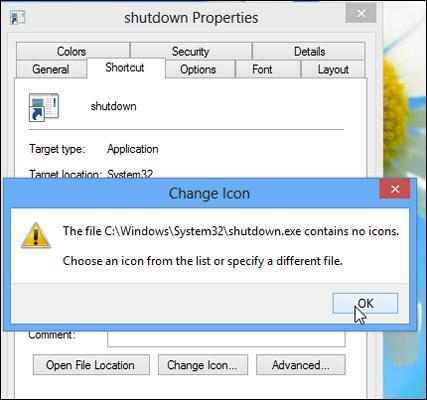 Select the shutdown icon and click OK button twice. The shortcut will have an icon. Step7. 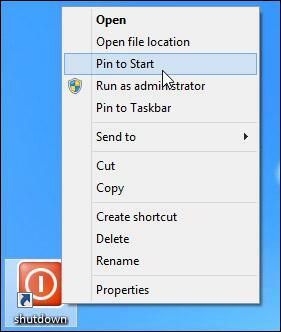 Right click the shortcut on the desktop, and select Pin to Start. Then you can easily find out the shutdown button on the Metro Start Screen. Step8. You can drag and drop this shortcut button to the desktop taskbar. Tips: If you want to create the Restart button, you just need to enter the command shutdown /r /t 0 in the location field. 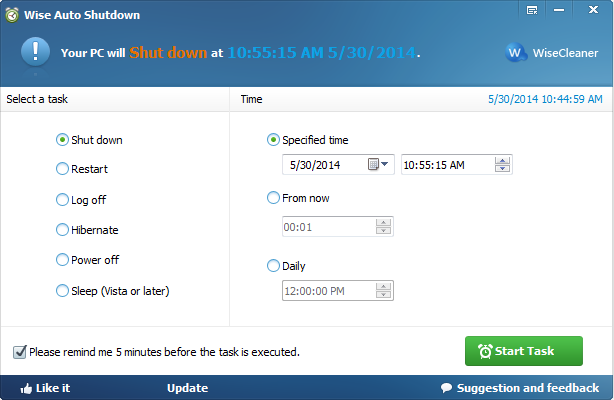 And if you are a guy who sleeps and leaves the computer on, you can use Wise Auto Shutdown, choose a specific time or a duration, or if you are a regular guy, choose a daily time, it will automatically shut down the computer for you.